Huawei, one of Chinese smart phone manufacturers, has been making a host of Chinese best-selling smart phones. With affordable price and excellent user experience, some devices of Huawei are extremely smooth to use and slick to touch. As a matter of fact, Huawei has been attracting a host of loyal buyers in the domestic smart phone market and also has some exposure in the West with a large number of loyal funs. With the excellent Huawei device, users can make their life easy. Meanwhile, they can store a lot of files in the phone and of course they will face the danger of losing them. 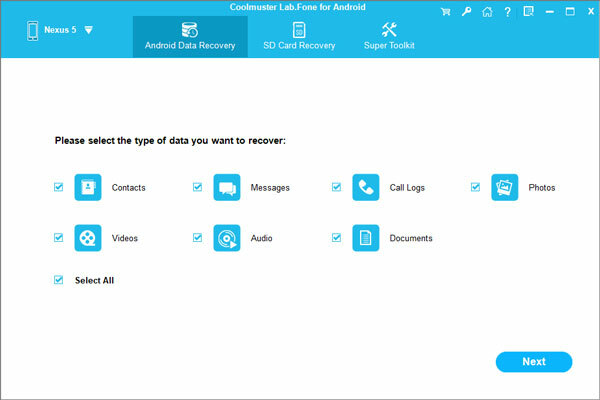 Now you can get the correct version of the Android Data Recovery to be downloaded and installed on your computer, and follow the guide in the below to see how to use it to recover lost data from Huawei phones. How to Retrieve Deleted Files on Huawei Mate/P/G/Y/HORNOR/Ascend? First of all, launch the Huawei data recovery software on your computer and link your Huawei mobile phone to the computer via a USB cable. Open USB debugging on the phone and it will be detected by the program immediately. Next, you should select the file types you want to recover. All recoverable file types are displayed here for your selection, including contacts, messages, photos, videos, music, etc. Tick off the ones you need and click "Next" button. At last, hit the "Recover" button on the bottom right after you previewed and selected the files you need. 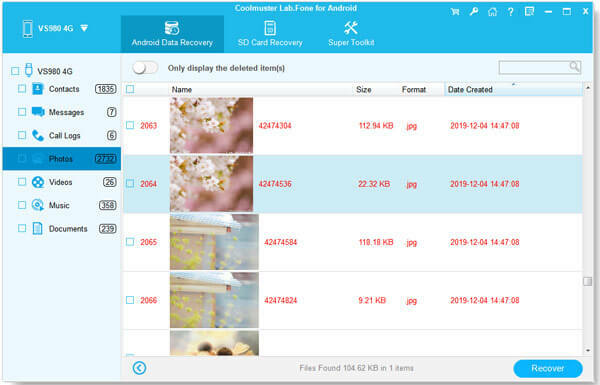 Then, Android Data Recovery software begins to recover the selected files and save them on your computer.